Magical little snow balls, 50% Norwegian Forest Cat. 5 little miracles have entered our world and are now seeking their future homes, ready to be delivered on November 25th when they are twelve weeks old. 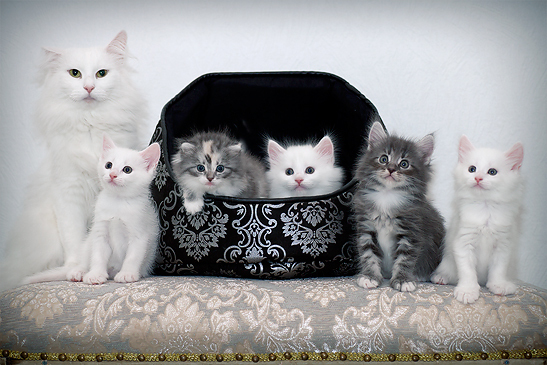 Their mother Isis is a very beautiful white pedigree Norwegian Forest Cat with papers, their father is an unknown Romeo. 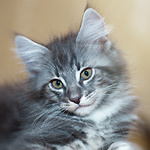 Four of these little guys have long fur, most with the typical lynx like Forest Cat tufts on the ears. The one white girl has short hair and therefore a lower price, but of course it makes her no less beautiful and lovable! All three white kittens have a small grey spot on their head. 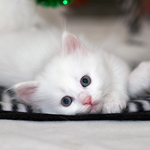 This is common with white cats when they are born, and usually it disappears before they are one year old. * goody-bag with a blanket that smells like mom and siblings, a toy from home and some of the food they have been eating so you can mix it with your own for a smooth transition. Both their mother during pregnancy / lactation and the kittens have been given the best quality food from Royal Canin, with all the nutrition they need to grow and develop correctly. We seek life-long homes where they will get the love and support that they need, where they can go outside and feel grass under their feet and claw on trees, and where their health is prioritised with good quality food (no cat biscuits from the grocery store). CLICK ON THE KITTEN PICTURES IN THE RIGHT COLUMN TO ENLARGE AS WELL AS SEE MORE INDIVIDUAL PICTURES AND VIDEOS! Our fairy queen, a smart lady with a huge soft heart and lots of integrity. 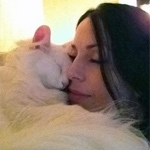 Isis loves to be close and cuddle, always comforts you when you are sad, and spreads beauty by her sheer presence. She is also very adventurous and loves the outdoors. 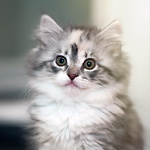 Isis is a pedigree Norwegian Forest cat with papers. (Not for sale). Aurora is a very intelligent and awake little beauty. She was the first to eat solid food and to use the litterbox - without a single accident. She is forward and curious but also sensitive and affectionate. - Grey long haired boy with white. The Prince is also nick-named "Prince Charming" due to his irrisistible charm, social character and big round eyes that look straight into yours. He has always been the first to explore new adventures and heights. Although Leo always has been at the forefront of new kitty explorations, he is a little less confident than Prince. This boy, who is the largest in the litter, is sociable, playful and positive, but also sensitive at times and a bit of a mommy's boy. This girl, who at first was the most petite, has grown into a confident and adventurous little lady. 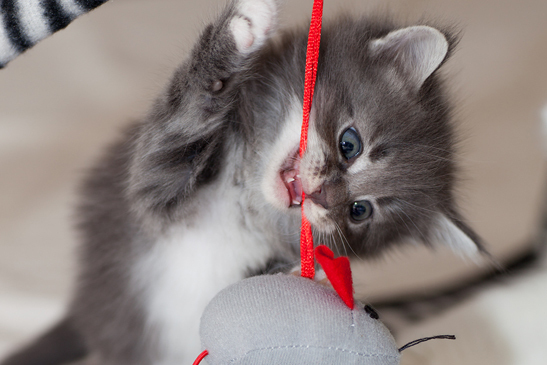 She is very sociable and playful, with the most frequent purr of them all. 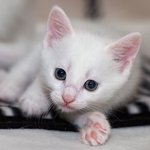 This is an affectionate and tolerant kitten who loves cuddles and human contact. - Tortoise shell, long-haired girl.